ONCHAN, Isle of Man – January 05, 2018 – PokerStars is keeping its foot firmly on the pedal in 2018 with the PokerStars Caribbean Adventure (PCA) kicking-off in the Bahamas this weekend. 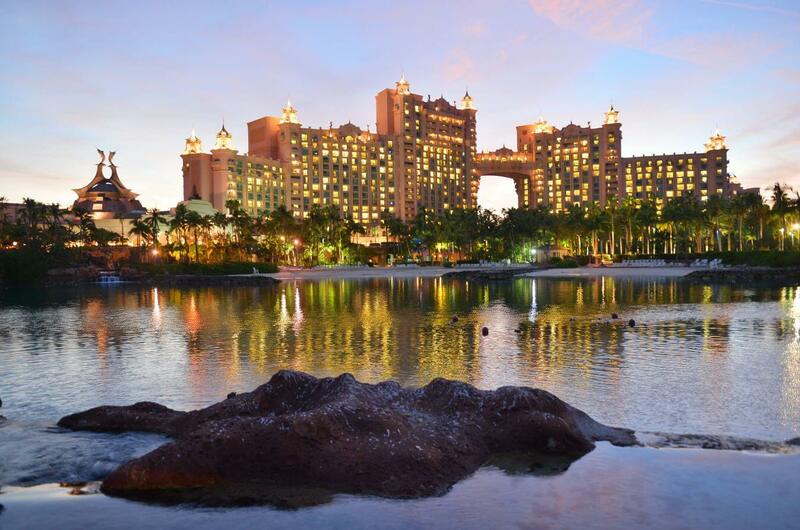 The PokerStars-sponsored event is one of the most prestigious this year with hundreds of players from across the globe converging on the Atlantis Paradise Island Resort and millions in prize money to be won. The PCA runs January 6-14, 2018. Platinum Passes are worth $30,000, which includes the $25,000 PSPC buy-in, accommodation at the Atlantis Resort and around $2,000 for travel and expenses. The PCA 2018 schedule contains 31 PokerStars-sponsored tournaments, ranging from $160 buy-ins up to the $100,000 PCA Super High Roller and the $10,300 PCA Main Event, which last year had 738 entries and a total prize pool of $3,376,712. Team PokerStars Pros confirmed so far include Andre Akkari, Daniel Negreanu, Jeff Gross, Kevin Martin, Jaime Staples, Jake Cody, Fatima Moreira De Melo, Igor Kurganov and Liv Boeree. Eight-time Olympic gold medallist Usain Bolt and Hollywood comedian Kevin Hart will also be in attendance. What’s more, the #GameOn clash between Hart and Bolt will culminate in a heads-up battle live at the Atlantis. More than 300 players have already qualified for the PCA Main Event. Seven of these qualifiers, who won a Main Event package for stakes of between $1.00 and $55, are currently featured in an exclusive BetStars betting market, which offers 6/1 odds on one of them winning the $10,300 Main Event. Go here to see the BetStars market. You can read more about these exciting activities here. PokerStars TV will be streaming for eight days starting with Day 2 of the $100,000 PCA Super High Roller on January 7. PokerStars TV will follow it down to a winner before moving onto the PCA $50K High Roller on January 9. PCA Main Event coverage will run January 10-14. Hosts James Hartigan and Joe Stapleton will be mixing up live commentary and studio guest appearances with quizzes, promotions and much more. The stream will be available in a wide range of languages, on desktop and mobile on PokerStars.tv, Facebook, YouTube and Twitch channels. For the full schedule go to: http://psta.rs/1uAdcY7. On January 5, the PokerStars Championship Player of the Year title will be claimed. A single table tournament will take place from 6pm on January 5 at the Atlantis and will award the winner $100,000. The heavy hitters lined up to contest the title are Bryn Kenney, Chris Hunichen, Nick Petrangelo, Daniel Dvoress, Koray Aldemir and Vladimir Troyanovskiy. To find out more about the PokerStars Caribbean Adventure, including the tournament schedule, visit the PokerStars Live webpage. For more information, please contact: press@pokerstarslive.com. PokerStars Caribbean Adventure (PCA), sponsored by PokerStars, takes place every January in The Bahamas and is one of the richest poker festivals in the world. Since it started in 2004, over $150,000,000 has been awarded in prize money, with thousands of players taking part, including hundreds of PokerStars qualifiers. The PCA is the largest poker festival outside Las Vegas.